WP Family Tree is pretty straight forward to get to work. Each family member will have his/her page under “family” category. You get to define the parents for each member as well as gender and birth/death dates. If you add featured images to your posts, their thumbnails will be used in your family tree. Users do have the option to customize their family tree and make small modifications without knowing too much about coding. 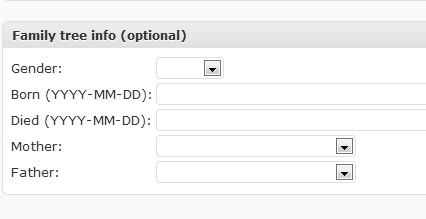 Once you are ready to publish your family tree, just use the short-code “[family-tree]” to add your tree to your pages. 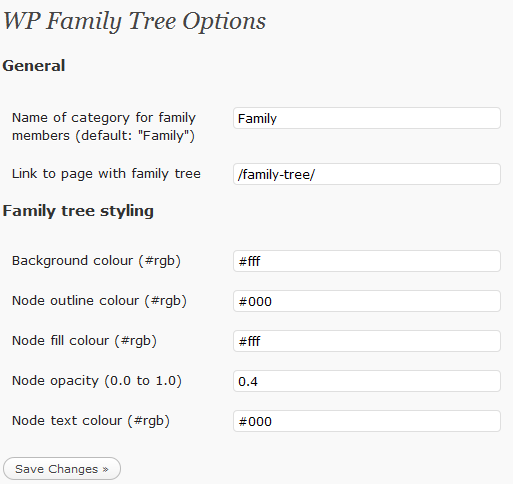 If you are creating a family website and want to add a family tree to it, WP Family Tree is a good plugin to get started with.